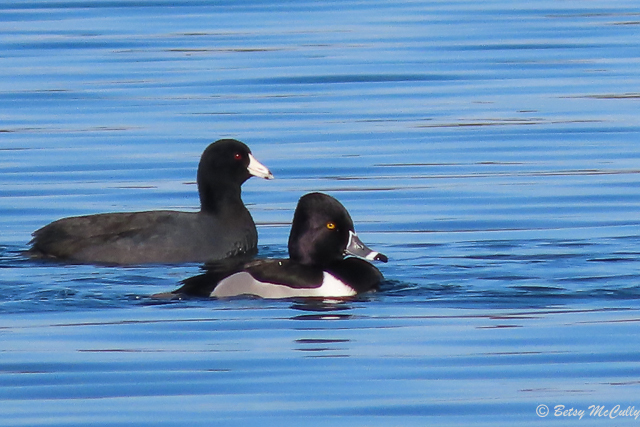 Male Ring-necked Duck (Aythya collaris) and American Coot (Fulica americana). Lakes and ponds. Winter visitor.